Yes, we need to find a cure for cancers, but in the meantime we need to increase the good we put into our body and decrease the bad and green tea is a good start! Plus we are all seeking ways to get healthier, drop a couple winter pounds, cut food expenses and have more energy and this tea recipe covers all of these hot topics! (oh, and did I mention it’s easy!) In today’s Pink Fact I will be covering an easy recipe for cool, refreshing, energy-boosting Green Tea. HEALTHIER: Soda (regular or diet), Red Bull, Lattes; they do not work in our favor and they add unhealthy chemicals and calories into our body. WEIGHT: I call this tea “motivation juice”. We all have no shortage of tasks and goals to complete, but sometimes we have trouble focusing and motivating and this drink gives that healthy caffeine kick to get us back on track and get moving! COST: The cost per day is somewhere in the realm of .10 cents! ENERGY: Unlike sugary caffeine, green tea gives a steady, level boost of energy without the “crash”. 1. Purchase the best brand of Green Tea you can find. 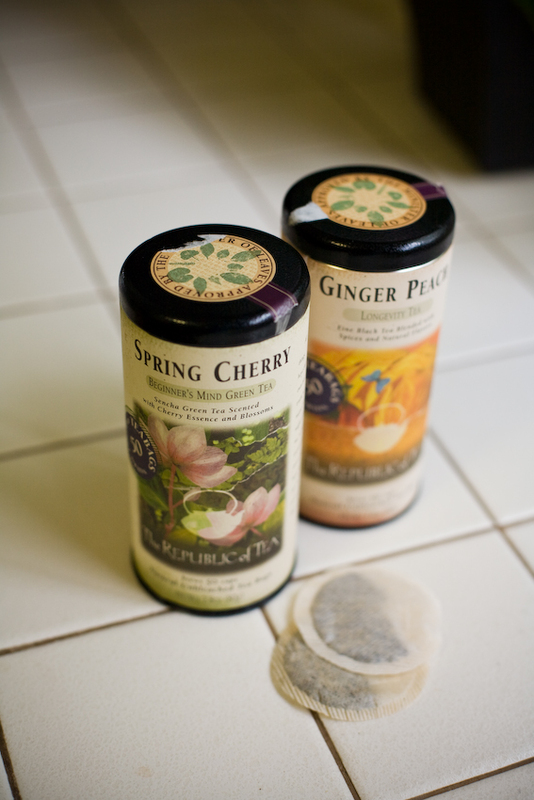 Currently I’m using a blend of Cherry Green Tea & Peach White Tea (one teabag each). 3. 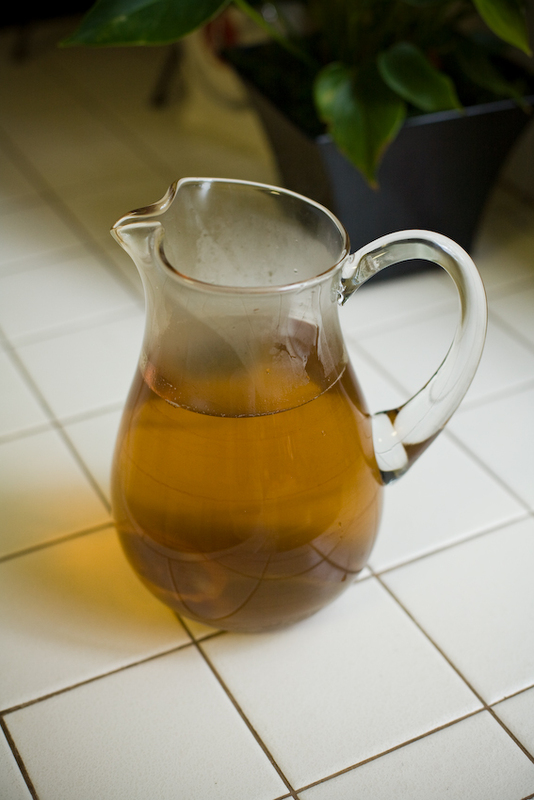 Add 2 two teabags to pitcher and pour in hot water. Add 3-4 bags if you prefer a stronger tea. 4. Steep for about an hour. 5. 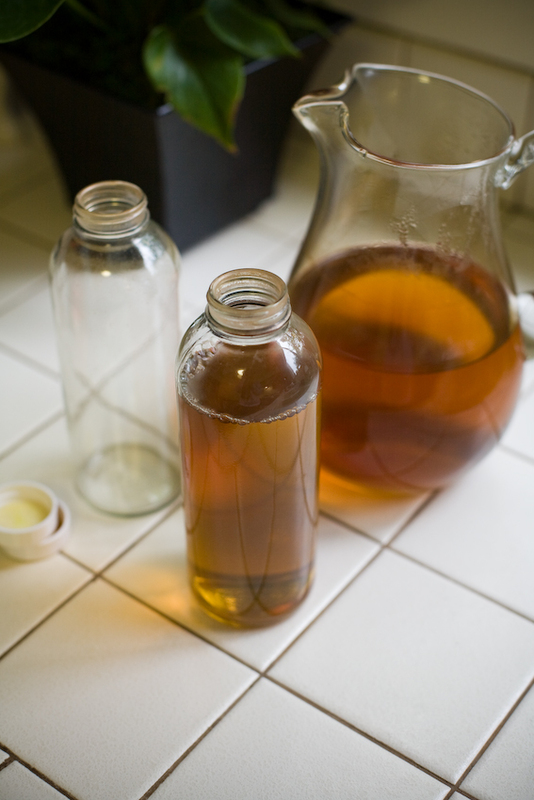 Remove bags from pitcher and pour tea into your stainless or glass grab-n-go container (do not use plastic). I prefer reusable glass juice containers that I’ve found at my local market. 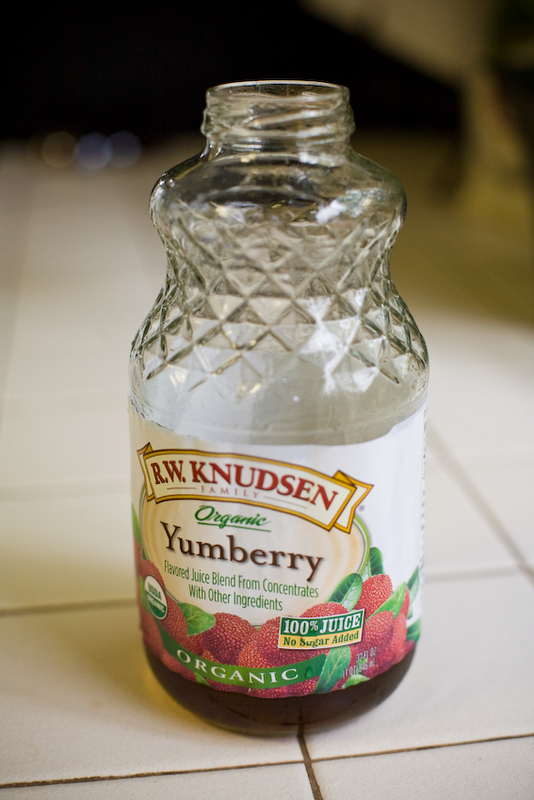 I drink the juice, remove the paper label and reuse the bottle for months. Do not fill to the top, leave some room for the next ingredient. 6. Don’t defeat the health benefits with added sweeteners, so to make the drink a bit more enjoyable, pour in a small amount of organic fruit juice to top it off. Look for juice with no sugar added! 7. Put containers in the fridge and now you’re ready! Just grab and go and sip on it throughout the day. Yum! Thanks for sharing, Megan!! I’m suddenly very thirsty! Looks great! I’ll have to give it a try.